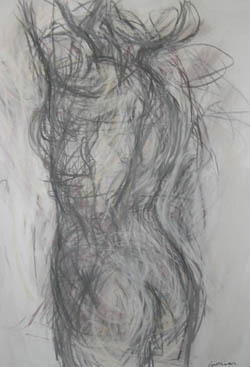 Figure Drawing and Painting Are Mary Ann Runciman’s Greatest Interests. 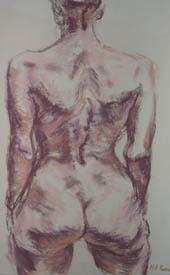 Figure drawing and painting the human figure from live models has been a constant part of Mary Ann's art practice. 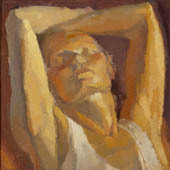 For many years her studio in Rundle Steet, Adelaide, was open to anyone who would share the cost of life drawing models. 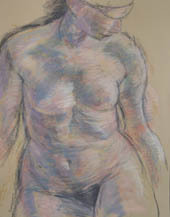 This way she could afford many hours of drawing, painting and clay sculpture from life. 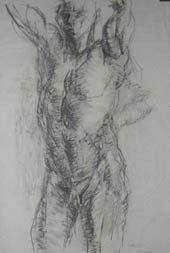 To get to the truth of a subject by copying from photographs comes a very poor second compared with the experience of having a figure drawing model, whom one can view from all angles, who can change position to present a broad range of life drawing poses to the student artist and who has the stamina to hold or vary a pose with intelligence and understanding. 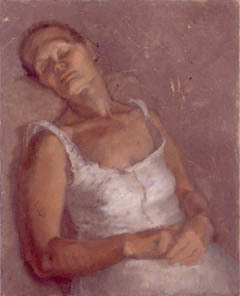 Although speed is not usually thought of as being important to oil painting techniques, Mary Ann's portrait innovations mean that, for her, it is of the essence. 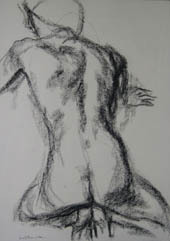 As she says, "All my paintings are drawn direct from life, usually with charcoal guidelines, including measurements (by eye). 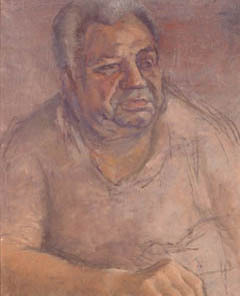 The very quick oil portraits will usually start with a few charcoal lines. 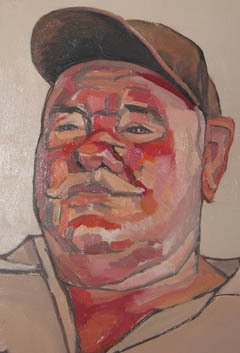 I like to work as quickly as possible on portraits to keep them and the sitter fresh and alive - and the sitter awake! Tuckerbox Steve fell asleep early on and I mostly just had a view of the top of his head! I never work from photographs as they have none of the interest of a live sitter. 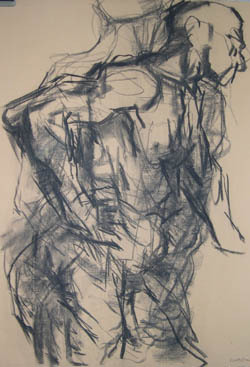 The subject moves, talks, and I can see the accumulation of habitual gestures and expressions. As I like people and enjoy interacting in conversation with them I also get to know my sitter in the process, which is a 'plus' for me. 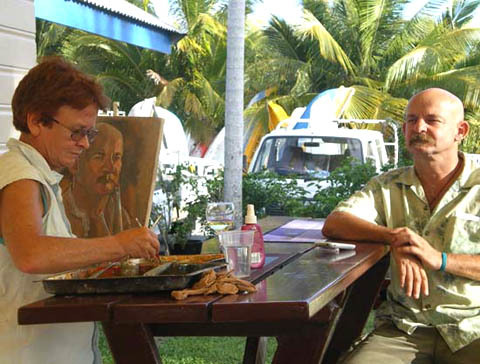 I also find the challenge of having a limited time with the subject really stimulating." 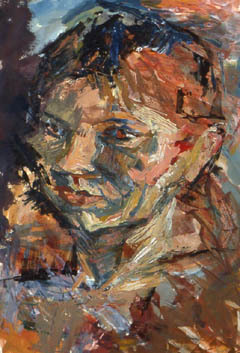 Mary Ann manages to convey the character and personality of her portrait subjects through the interaction of spending time chatting with them as her deft brushes or palette knives fly across the canvas. 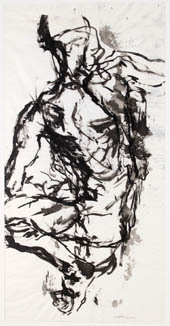 These figure drawings and human figure paintings are in demand and compete for popularity with Mary Ann's 'Confinement' series, where figures are arranged stylistically and sometimes in a semi-abstract way within the confines of a square.